Situated in Alexandria, Virginia's historic Hollin Hall Shopping Center, River Bend Bistro was the vision of co-founders Bill and Caroline Ross. Wanting to create a place where everyone could enjoy themselves and have a good meal, they hit the mark with River Bend Bistro. The Ross' showcase a one-of-a-kind place with simple, good food and quality wine. Our menus feature an array of local comfort foods, enticing entrées, refreshing salads, and specials that are sure to impress. For libations, we offer a full bar, beer selection, and an international wine list with wines by the taste, full glass, or bottle. You can even purchase bottles of our wonderful wine to go! River Bend Bistro strives to use local and seasonal ingredients either from shopping at local farmer's markets or delivered fresh daily. Nothing is canned or ever frozen-- except the ice cream and sorbet for dessert! Our menus are the creation of renowned Chef Caroline Ross. After working and making a name for herself in local restaurants for over nine years, Chef Ross was awarded a scholarship in 1990 from Les Dames d'Escoffier (the only organization of its kind: a world-wide philanthropic society of professional women leaders in the fields of food, fine beverage and hospitality) to attend the prestigious Ecole de Cuisine in Paris, France. She has since worked in many respected American, French and Italian restaurants over the past thirty years. 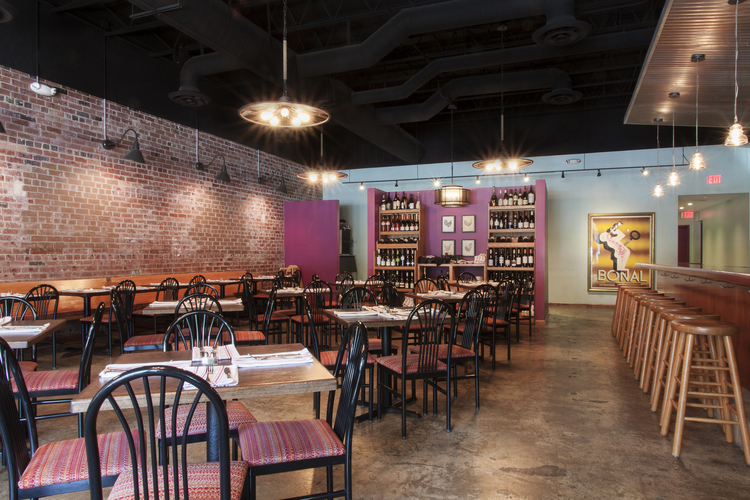 The result of her experience delivers an American Bistro with Mediterranean influences. Bill Ross has been a businessman in Alexandria, VA for more than thirty years. "Capt. Bill" also owns and operates the National River Tour Co., a sightseeing business on the Potomac River. The Ross' live in the nearby neighborhood of Fort Hunt Park and are proud to call the area their home.